Prolific fall colors of several small, big tooth maples are revealed here in a deep gully in the Zion National Park's eastern section. 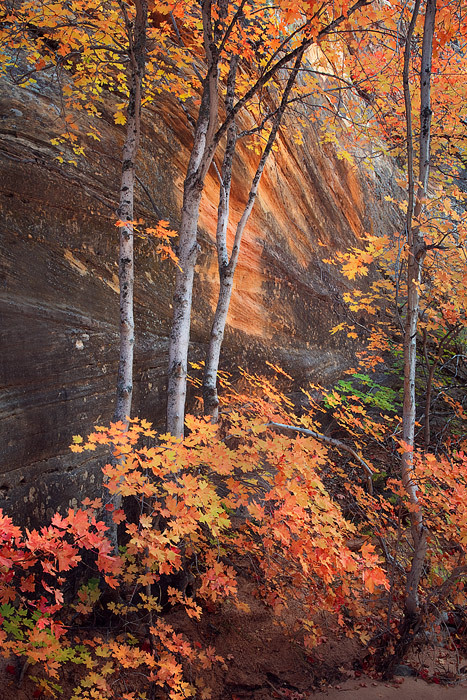 I was attracted to the contrast of the trunks against the sandstone cliffs and the delicate spray of color that accompanied it. Photo © copyright by Michael Greene.